Despite selling his business downtown, Dr. Eldon W. Clothier is still practicing dentistry and committed to taking care of his patients as well as having more time to focus on other projects like flipping houses. Celia Shortt Goodyear/Boulder City Review Longtime Boulder City dentist Dr. Eldon Clothier recently sold his practice and cut back his hours and is now flipping houses in his increased spare time. Clothier has been a part of Boulder City’s downtown business scene for 41 years when he started his practice as soon as he finished school. When he was 32 years old, Clothier went to dental school at the University of Southern California after attending college for three years at San Bernardino Valley College and the University of California, Riverside. Providing exceptional patient care became his focus early in his career. “I may not have the best hands, but I will treat my patients better than anyone else,” he said. This statement became the goal of his career, and he spent the next 41 years taking care of people in Boulder City as well as raising his family. He and his late wife, Margie, settled here with their four children because Clothier said he wanted to live in a small town. “It’s just a marvelous place to raise a family and live,” he said of Boulder City. They created Advanced Dental Care on Arizona Street, which Margie painted with murals of animals. According to Clothier, she loved animals and was very fond of giraffes, which became a mascot for the practice. In October 2017, he sold his practice to fellow Boulder City dentist Dr. Andrew Huxford. Clothier said he knew he had to sell the practice at some point, and you really think about selling it when someone comes to you and offers to buy it. “It was just time,” he said. Even though Huxford now owns the office and changed the name to Downtown Dental, Clothier still works there, taking care of his patients. Clothier works at the office on Tuesdays and Wednesdays and other days as needed. Despite working more than initially planned, Clothier said he is pleased that he can continue to see his patients. “I care about the patients,” he said. He also has more time to renovate houses, which he refers to as fun. He started about five years ago after Margie died because he was looking for something more to do. So, he bought his first house to flip, and sold it. The next two houses that he bought and renovated became personal projects: He sold one to his daughter and kept one for himself to live in. “I’ve made money on one of them so far,” he said. Currently, Clothier is working on his fourth house, which he plans to rent when it’s finished. To do the work on the homes, he works with family as much as possible and individuals who specialize in various trades. 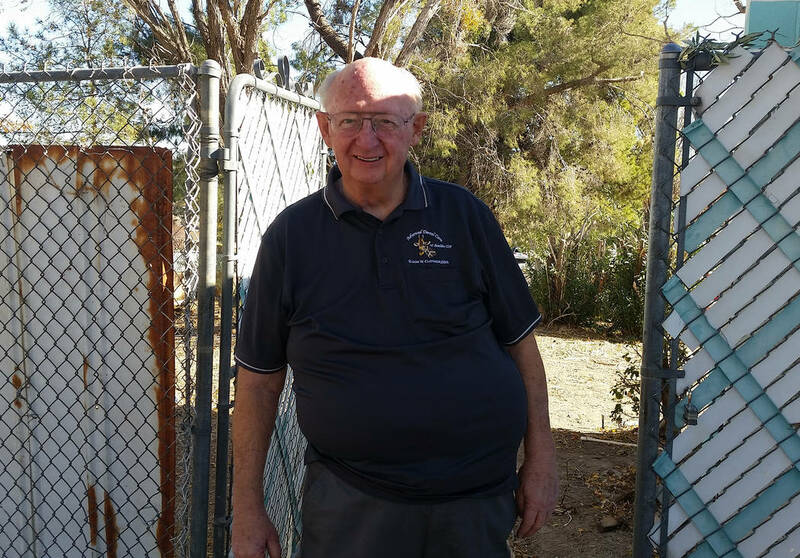 Throughout his dental career, Clothier was involved with the community through the Boulder City Chamber of Commerce as well as his past dental explorer post. He also provided awards for the Trunk or Treat costume and trunk decorating contests and helped with movies in the park. He and his staff have also been recognized several times for their community support and were named Small Business of the Year by the Chamber of Commerce for their efforts on behalf of the Angel Tree.